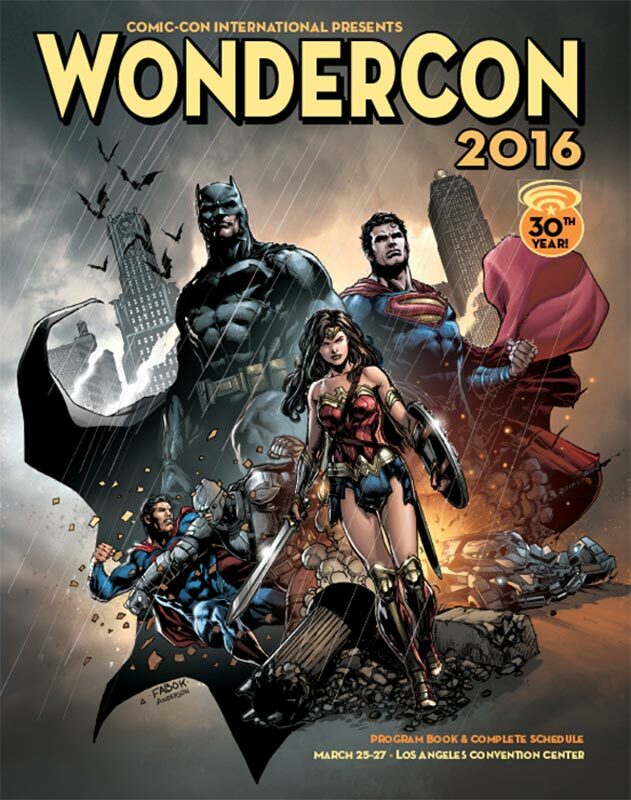 It’s been a whirlwind of a week with WonderCon Anaheim last weekend and getting sick and busy week at the old 9 to 5 job I’m lucky that I had time to even read this weeks new books. But there were so many new books this week I just had to do it, so lets get cracking! The new label Darby Pop Publishing distributed by IDW has had a really mixed bag of books so far. Their first Indestructible was pretty bad and City Mind In The Machine was a step up but wasn’t mind-blowing either. 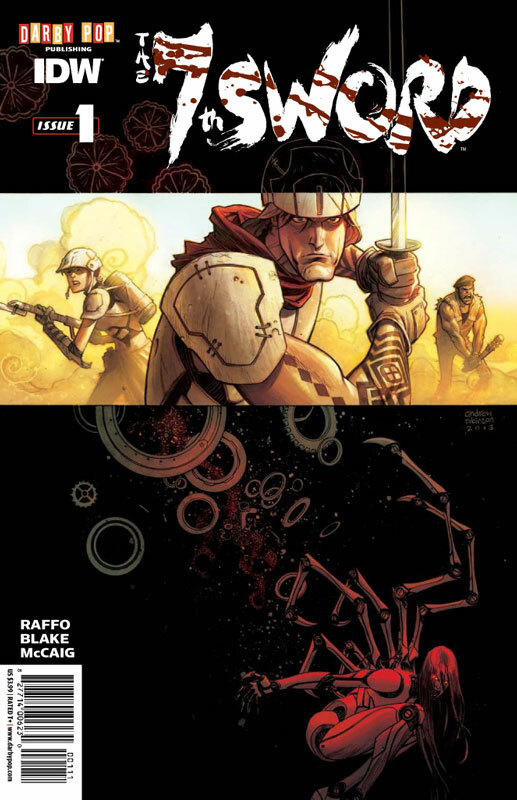 The third book 7th Sword hit this week and the plot from Darby Pop is, On a planet where explosive weaponry is unusable, Daniel Cray — a Samurai mercenary — stumbles upon the legendary city of ZenZion, a mysterious desert outpost currently under siege from a vicious Warlord. The peace-loving citizenry beg Cray to help defend them… forcing Cray to reluctantly draw his deadly “Malathane” sword one last time to battle a relentless army of robots and their savage Masters. Science Fiction meets Samurai in John Raffo’s epic new adventure illustrated by Nelson Blake II. I will give 7th Sword at least got off to a decent start. Raffo’s script does suffer from the first issue set up struggle but while the story moved OK I did feel as if it was a lot of familiar things rolled up into one. There is a dash of the Man With No Name, with samurai’s and throw in robots and shake well. While not entirely blah it does not really excel at greatness either. The story suffers a bit of being there and done that but I have read a whole lot worse. Blake’s art is OK but there are a lot of empty backgrounds and some of the characters are a bit stiff at times. Is this book worth your time and money? 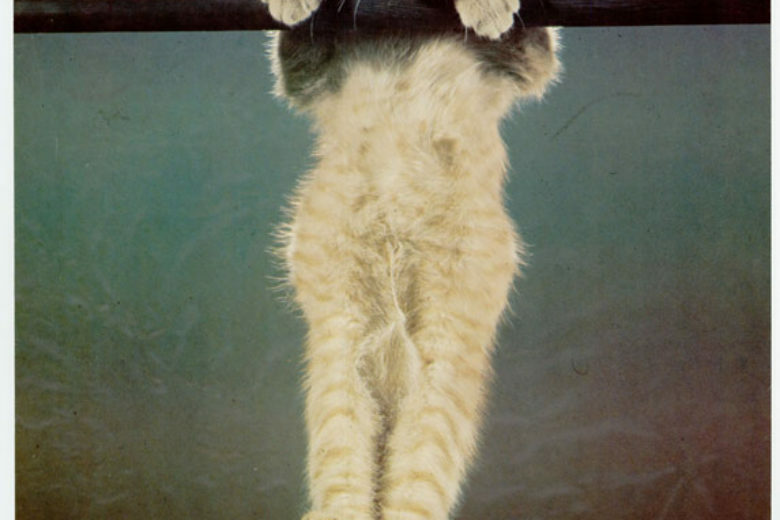 It could be worse but it could be a lot better. I will try the second issue to see if the book will go anywhere. The bigger issue is that if Darby Pop want to make it in comics they are really going to have to step up their game. None of their books have been must read and only two were marginal books at best. At this rate they are going to have a tough time convincing people to try anymore of their books. If you are on a budget I would skip this book and buy a sure thing. If you like the idea of 7th Sword I would give it a middling worth reading. It’s been a while for a new DC book to make the review list lately and while the New 52 lately has been a bit of a bust leave it to a Canadian to bring life into the Justice League. The plot from DC is, Top comics writer Jeff Lemire teams with superstar artist Mike McKone for the all-new monthly series JUSTICE LEAGUE UNITED, starring the new team of powerful heroes Earth calls Justice League Canada! 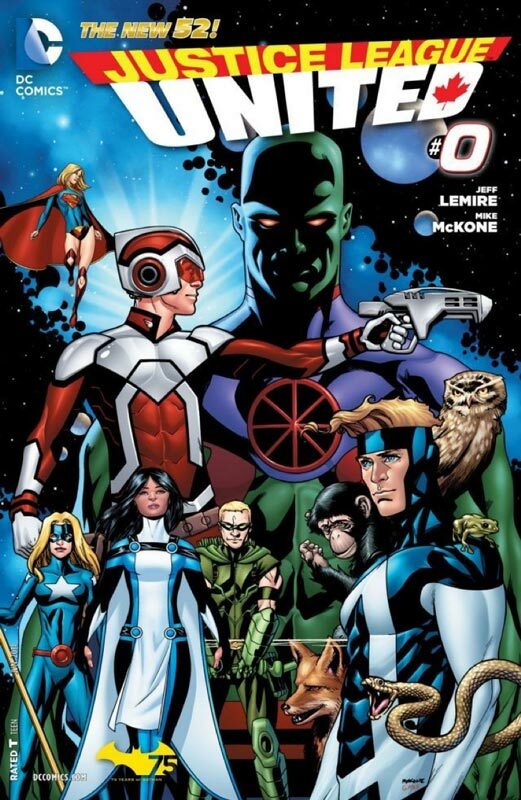 In the aftermath of FOREVER EVIL, Adam Strange is caught up in an adventure across the far reaches of the cosmos that will unite an unexpected team of heroes including Supergirl, Hawkman, Green Arrow, Stargirl, Martian Manhunter and Animal Man – but if they’re on the team, who exactly is Canadian? Plus: Don’t miss the debut of a new Canadian hero who will have a huge effect on the group! 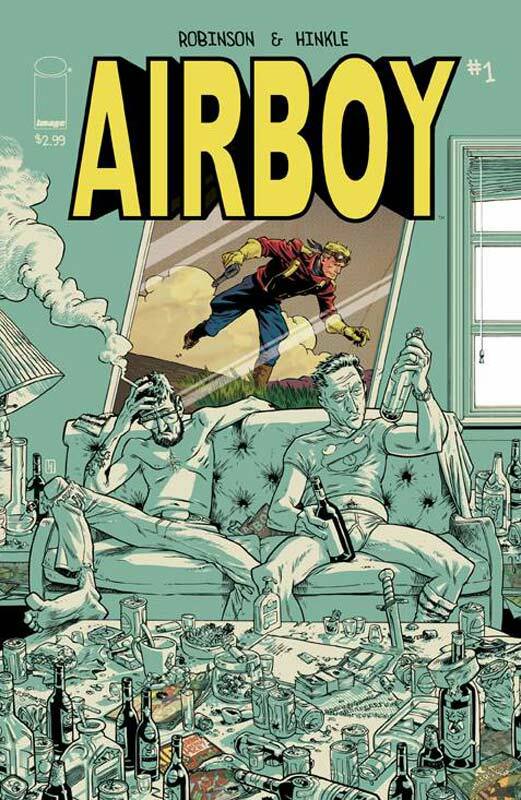 I picked this book up because Jeff Lemire has been the real shinning star over at DC right now. 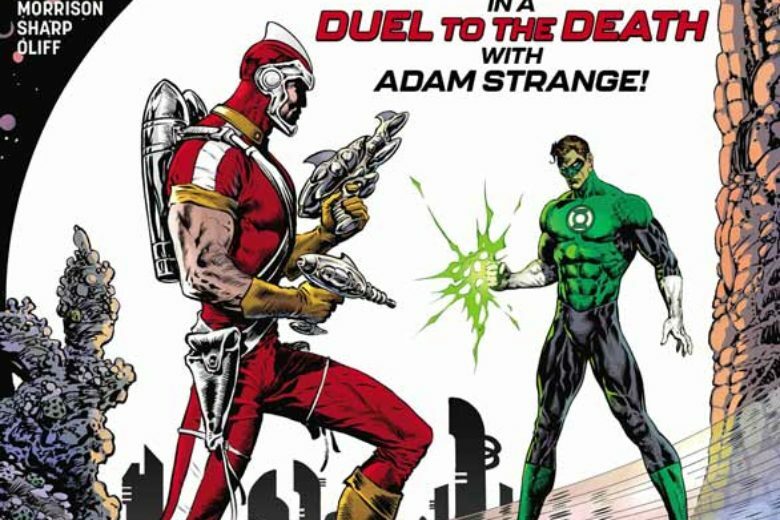 His Animal Man run was great and his current writing on Green Arrow is fantastic so how does Justice League United stack up? I have to admit I really liked the first issue. While it’s a definite set up issue, I really felt that Lemire is setting up some really nice ground work for the series. He didn’t really use the “hey there is a crisis going on and we superheroes should form a team to fight them” scenario. I also liked that it’s the oddball B characters that allow Lemire to not have to deal with the continuity issues of having major players in the book. McKone has always been a solid artist and is a very good choice for this book. The art really bring the story together and McKone captures both the big action scenes and the smaller dialog scenes very well. His layouts and backgrounds are really well done. 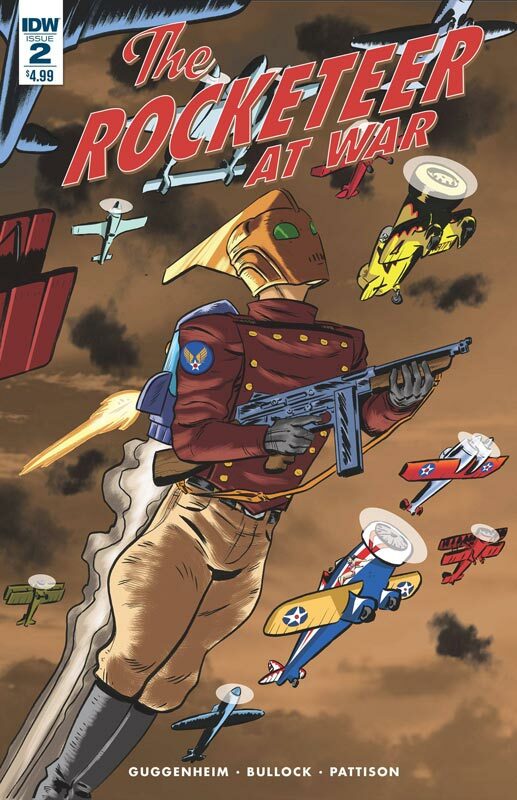 McKone complements the story very well and puts the book on a better footing than most. Is this book worth your time and money? I did really enjoy this first issue and like how the book is coming together. I hope that Lemire and McKone can pull off a Justice League book that is off the main radar over at DC and allows them to really tell their stories and let the book be its own thing. Considering the lack of excitement over at DC lately this book is a real breath of fresh air. Well worth the $3.99 cover price. Marvels next event comic starts here! (sort of) This Prolog issue is the set up to the Marvel summer cross over book that will probably sell well but will not win any quality contests I am guessing. The plot from Marvel is,IT’S THE PROLOGUE TO THE BIGGEST MARVEL SERIES OF THE SUMMER! 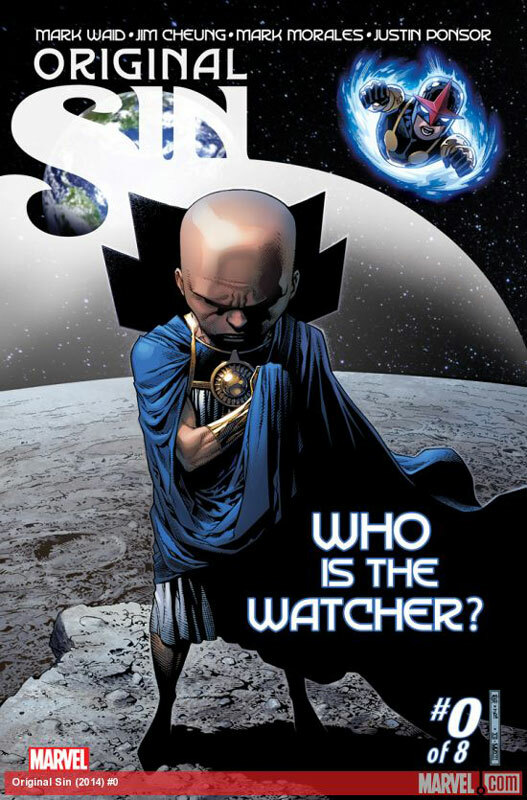 WHO IS THE WATCHER? That’s what Nova is wondering after his latest brush with the moon-dwelling enigma he’s encountered before! But what he discovers will have a profound effect on the young hero, as well as priming the pump for the most cataclysmic event in Marvel history! WHAT DID HE SEE? This is a bit of a stand alone story about the “secret identity” of The Watcher that is pretty good story. Of course having Mark Waid write it probably had a lot to do with it. Waid wisely doesn’t change the origin of The Watcher but uses the current incarnation of Nova to get current readers up to speed on who he is and is a nice done in one type story. The art is pretty good considering that there were a total of six different artist that worked on the issue. The visual tone with that many artist does stay fairly consistent and the only visual difference that i noticed is the flashback Watcher origin looked a tad different. Is this book worth your time and money? If you are going to go for the whole Original Sin fiesta then you are going to buy this book anyways. The question is if you are on the fence about it. The problem I had been that the story and are decent but the $4.99 cover price is a little high for just decent. 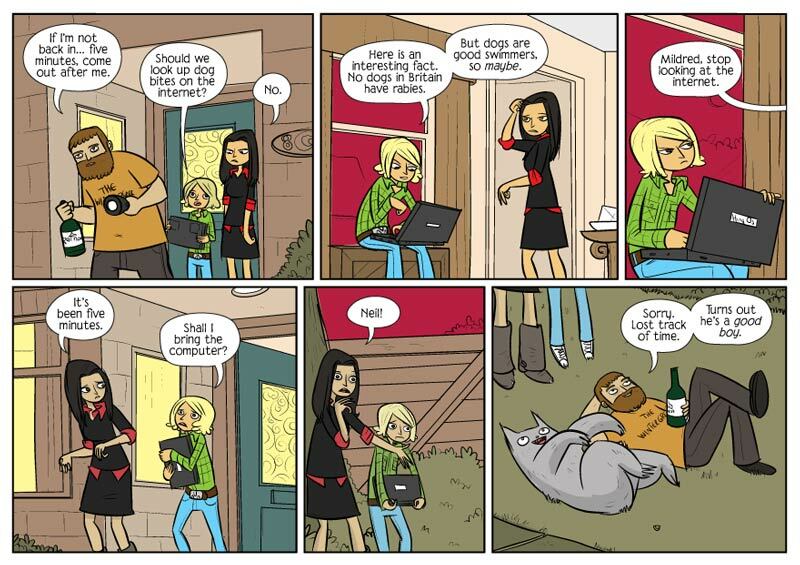 The book didn’t convince me to read the first issue of Original Sin either. In the end it was OK. I have been a big fan of this book from day one and issue three could just be the best story so far. The plot from Oni is,Heidi goes through her journey to find the uncle who abused her, and must decide between revenge and justice. What she learns about herself forces her down the path her friends are already walking. She knows that she has to help them change the future. The thing that I really like about this issue was the way that Fialkov weaved the aftermath of the explosion and the meeting of Heidi and Grady first met as children and the mythology of all of the stories are blending together. Fialkov effortlessly blends it all together with such ease that it really reached deep into me emotionally. You felt every moment of both tragedy and childhood innocence with such feeling that you rarely get in comics. Infurnari artwork continues to bring Fialkov scripts to life that I can’t imagine anyone else that could pull this book off as well as he does. 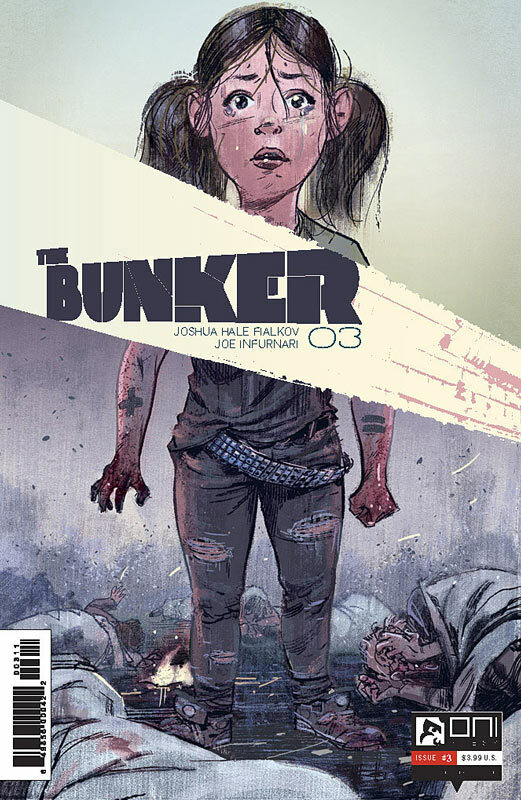 While I love the mystery that The Bunker is I think that this issue was a nice break from what the story has been telling to a very emotional and touching one. The key is that no matter how crazy thing get with the story it grounded by characters that you care about and that is what make it work so well. It’s no wonder that this book is selling out every issue and has had multiple reprint for a very good reason. Is this book worth your time and money? This is one of the best book out there right now. Powerful story and art make this a must read every month. Fialkov and Infurnari are like well oiled machine that is firing perfectly on all cylinders. I can’t emphasize enough that you should be reading this book. HIGHLY RECOMMENDED!! 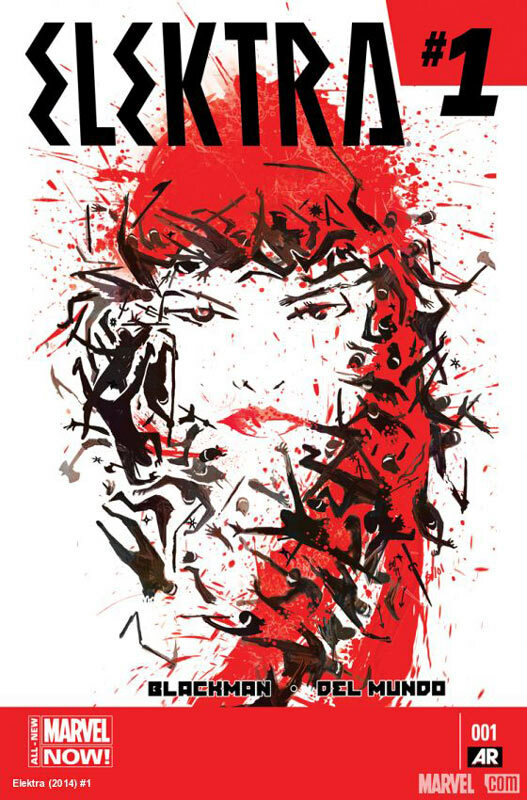 Elektra is a fan favorite character created by Frank Miller during his stunning Daredevil run and while other have tried to use her they have had limited success. While it’s too soon to tell this might be the one that works. The plot from Marvel is,Witness the beautifully violent return of the world’s deadliest assassin. A life spent in silent pain has led Elektra to the precipice of despair. As she prepares to shed her past and take her next step, everything you know about her will change! Death is no escape, but she will find her way as a new option opens up that will take Elektra to places no other Marvel character can go. While the set up for this first issue is not the most original idea, it’s a least a good direction to take the character in. Blackman probably best know for his recent stint on Batwoman over at DC before they kicked him and JH Williams III off the book. He brings a good sense of story and mood to Elektra and while it’s too early to tell if this book is going to work in the long-term it gets off to a solid start. I really like the mythology that he is setting up in the first issue. The art by Del Mundo is where the book leaps off the pages. This guy brings a real bold and dazzling style to this book that make it stand out from the standard art on most superhero books. His layouts are simply amazing and the color work that he does with D’Alfonso really make the artwork leap off the pages. Is this book worth your time and money? The book gets off to a solid start and with some of the best artwork I have seen in a while this book is well worth the price of admission. The storyline gets off to a good start and I am looking forward to seeing where Blackman and Del Mundo are going to take us with the book. It’s well worth reading and the art really seals the deal on the book. 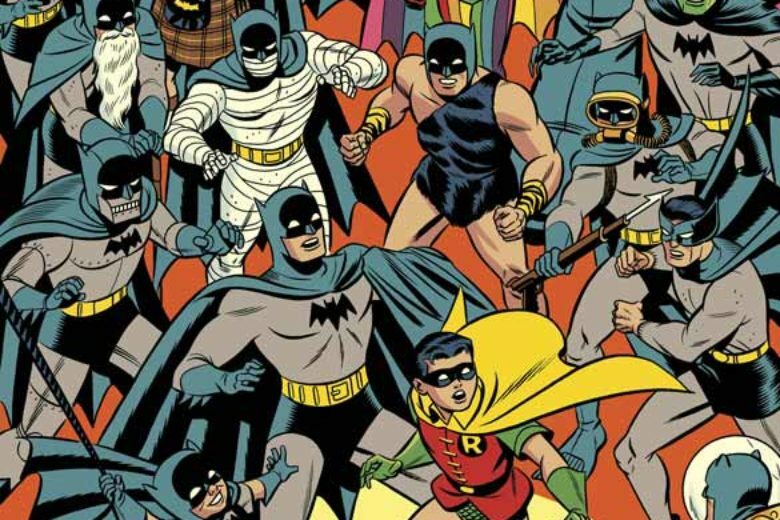 What make this week at the comic store so great? 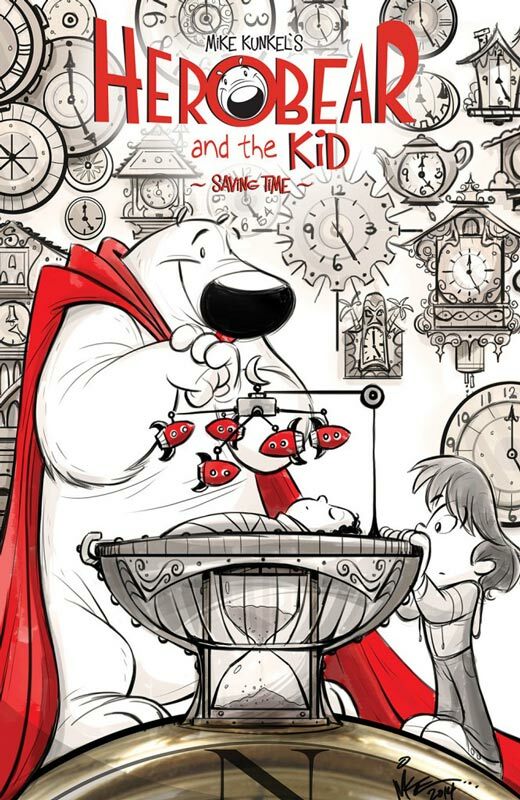 A new issue of Mike Kunkel’s Herobear and the Kid! The plot from KaBOOM! is,Henry, the family’s magical butler, is missing!! It’s up to Tyler and Herobear to figure out what happened to their friend…only they might learn a lot more about Henry than they initially thought…and be forced to get help from an unsuspected source. This new storyline is really deep but still retains the magic that makes the book so wonderful. 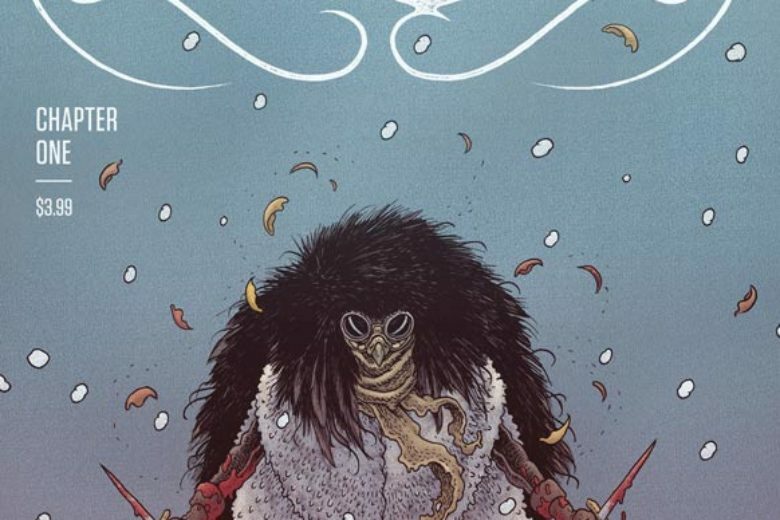 The first issue is setting up a really epic tale that we haven’t seen before and that is a really good thing. People might think that an all ages book needs to keep it simple. Well tell simple to all of the kids that read Harry Potter. I think kids today are able to digest more detailed stories. I love the way that Kunkel weaves the mythology of the New Years holiday in with the Tyler’s destiny of Santa Clause. The story has a lot going on in the first issue and is a little dialog heavy compared to previous books but a lot of it could be for new readers of this series to make sure that they do not feel lost about anything. For regular readers this may throw them off a bit and may seem repetitive and I get that. But there are a lot of people who are still discovering Herobear and they need to be thought of also. 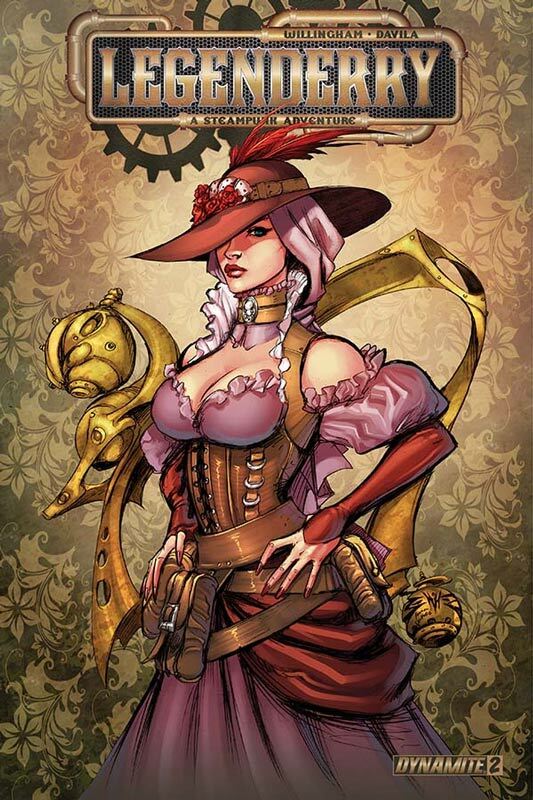 Kunkel’s art is where the book shines and there is a whole lot to see in this story. There are a lot of panels in this issue and is a visual treat and you really have to slow down and take it all in because there is a lot going on. Is this book worth your time and money? I have been a fan of Herobear from day one back in Kunkel’s self publishing days and glad that he has found a new home at KaBOOM! This is the most ambitious story that has ever been done in the book and there is a lot of story and art to take in. I really like the scale of the story that he is setting up and can’t wait to see how it will go. This is a must read all ages book that will delight both young and old. VERY RECOMMENDED! While there have been a lot of good new Marvel book that have come out lately. 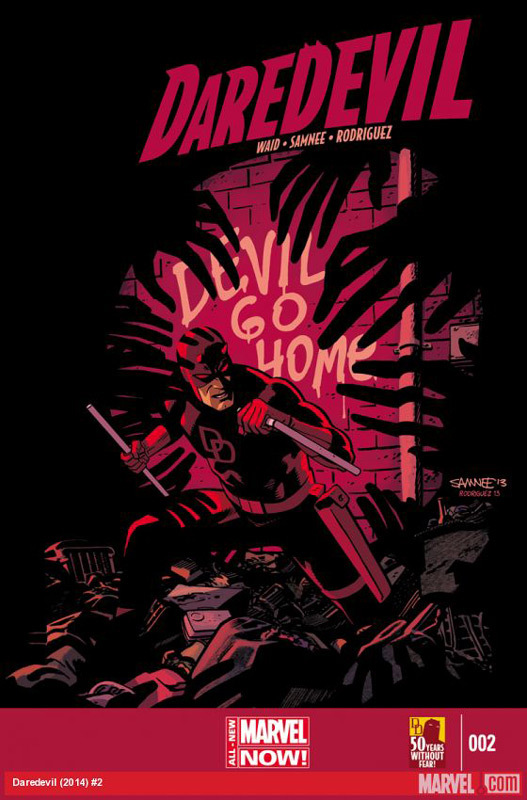 It’s Daredevil by Waid and Samnee that was the lone light for me at Marvel for quite a while and the new storyline just keeps getting better. The plot from Marvel is, Daredevil’s in over his head in his new hometown, which isn’t at all as he remembers it! New threats, new obstacles…and a forgotten Marvel hero steps from the shadows to make him feel MOST unwelcome! Waid is using the new location of San Francisco to give Matt a little fish out of water feel to the story and that is very nice. While he will always be Daredevil changing the status quo was a really good move story wise. 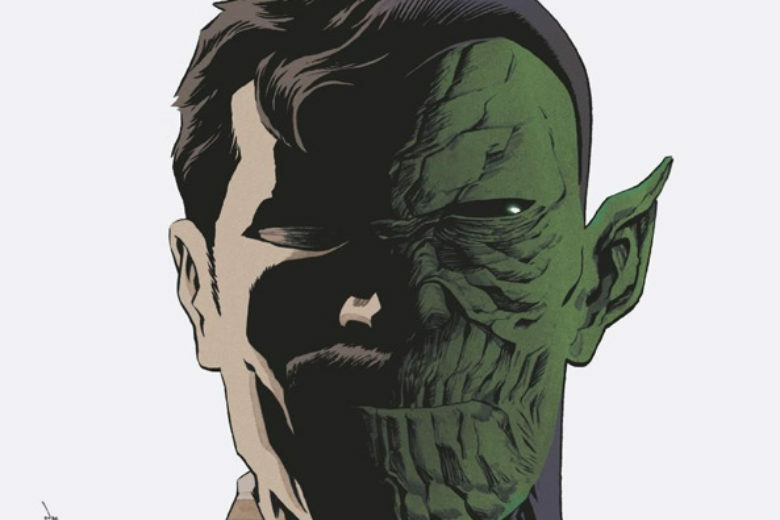 Waid is bringing new characters into the fold including a new Doppelganger villain that is the dark side of Daredevil and is going to be very interesting. What can I say about Samnee that I or everyone else has said. He is simply brilliant on this book and gives Waids scripts so much life that they are the perfect team of writer and artist. Is this book worth your time and money? This is one of Marvels best books at the moment. And while some of the new books have tried to shove it off the top of the hill, it’s still at the top of my list every month. This book how superhero books should be done. Solid story and art every month without missing a beat. VERY RECOMMENDED! I save the best for last. 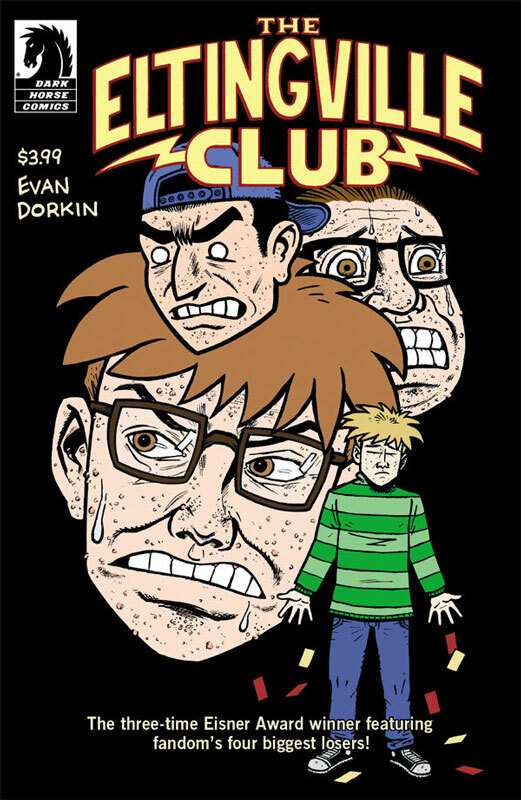 Not for the faint of heart Evan Dorkin brings back The Eltingville Club for one last epic story. The plot from Dark Horse is, After twenty years, three Eisner Awards, and a smattering of hate mail, the Eltingville Comic Book, Science-Fiction, Fantasy, Horror, and Role-Playing Club is finally breaking up. 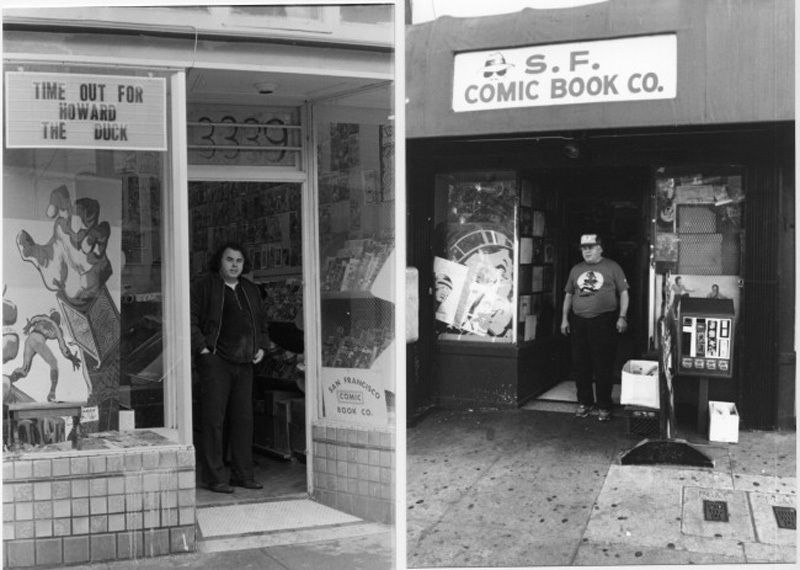 When Bill’s dream job in a comic shop turns into a nightmare for the club, more than bridges and membership cards are burned in a fiery, fan-tastic finale! This is the first of the two-part finale of the sadly too close to reality look at a group of four nerds that formed a group. Dorkin brings his usual high-class standards with this book as he does with Milk & Cheese to Eltingville Club. This means that if you are only familiar with his Beast of Burden book then you are in for a bit of a shock with this book. The one thing that I love about this book is that there is so much stuff that Dorkin puts into the issue that there is a lot of bang for the buck on this one. This is a really densely packed book in both story and art. 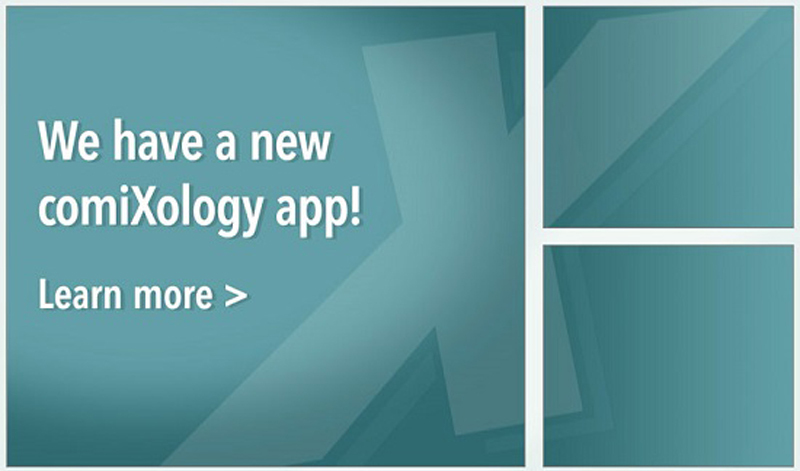 This issue will take you a while to get through. And that is a really good thing. I’m kind of sad that the stories of the Eltingville Club are coming to an end but Dorkin is sure taking them out in style. Remember folks this is satire and sometimes the truth hurts. Is this book worth your time and money? I am a huge fan of Dorkin’s work and love his more edgy stuff like this and Milk & Cheese. He is one of the few creators that is brutally honest when if comes to fandom and how people can get wrapped up in the most insane stuff that is more often than not closer to reality than some people would like to admit. If you are looking for dead on satire them look no further than this book. It’s going out with a bang and I can wait to see the carnage. HIGHLY RECOMMENDED!